Due to limited space and an excellent response, this event is SOLD OUT. We regret that we will not be able to take registrations at the door. We apologize for any inconvenience. WE REGRET TO INFORM YOU THAT THIS EVENT IS SOLD OUT. 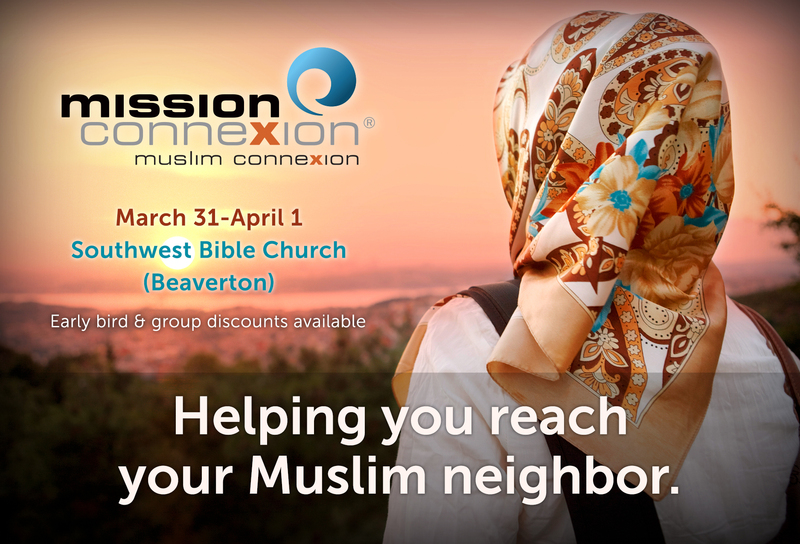 Following up on last year’s focus on shame and honor, this year we will present some very practical ways to reach out to Muslims. Two great speakers will emphasize daily, workable solutions and ideas. Joy Loewen, author of Woman to Woman: Sharing Jesus with a Muslim Friend, will share with us from her years of experience ministering to Muslims overseas and in Canada. David Cashin, currently on faculty at Columbia International University, will look at reasons Muslims come to faith in Christ and will present ways to start Bible studies with Muslim friends. Churches, do you need a digital form of the flyer for your announcement slides? Download it here.